Explorer yachts provide the truest essence of yachting's purpose, as they are specifically designed to throw off the bowlines, explore the great blue beyond and connect their owners to the water. 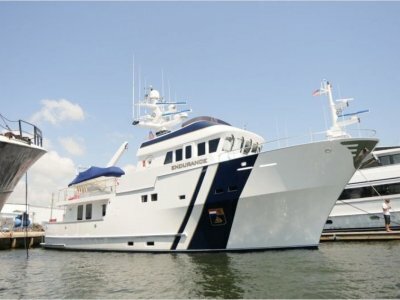 This is an exceptional opportunity to purchase a custom built motoryacht completed by one of New Zealand's leading builders. Mana Moana has been built from the hull of a sleek Swedish Navy Patrol Boat into a stylish expedition style explorer with the combination of functionality and modern fit-out. 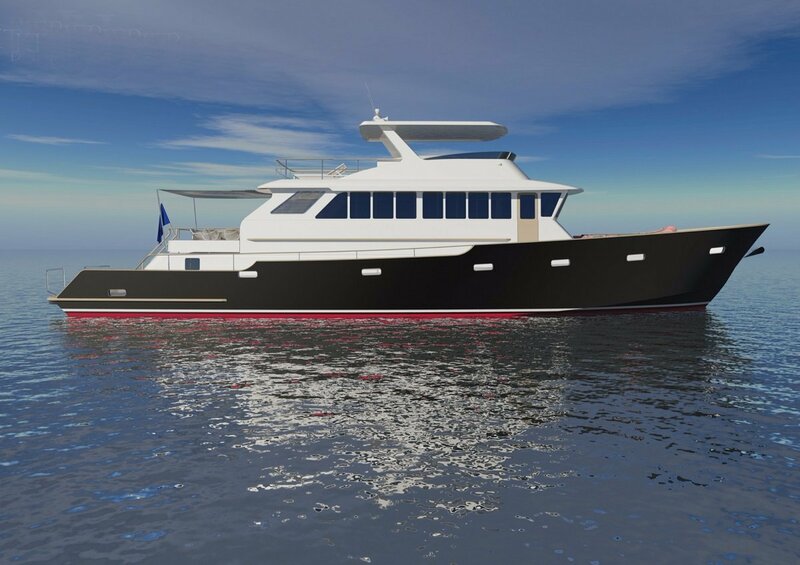 The hull conversion commenced in 2014 with design by renowned New Zealand naval architect Kevin Dibley. 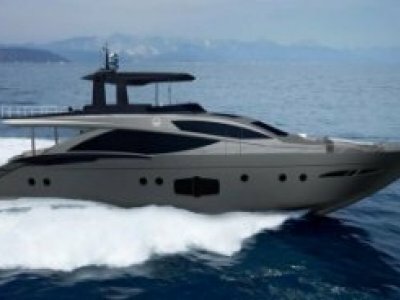 Also involved are Interior Designers including Kit Carlier and New Zealand Structural Engineers working together to create this beautifully appointed motoryacht. The vessel can be sailed by the owner or with crew if assistance is required and separate crew accommodation is provided. The main accommodation includes three double cabins with ensuites plus a single cabin. The build incorporates the latest strength and safety regulations plus surveyed to comply with the rigorous requirements of the Australian commercial vessel rules, NSCV 2B. The compliance survey has been carried out by the experienced Naval Architects and Surveyors, Sea Spark Limited. This special custom build incorporates all the aesthetics, ergonomics and efficiency expected in today's latest designs. The vessel is currently over 50% complete with the custom fit-out remaining. With New Zealand winning the America's Cup we expect heightened interest in quality craft such as this readily positioned in the South Pacific Region. It also reflects the example of what can be achieved with a combination of the best workmanship and efficient control of capital expenditure. 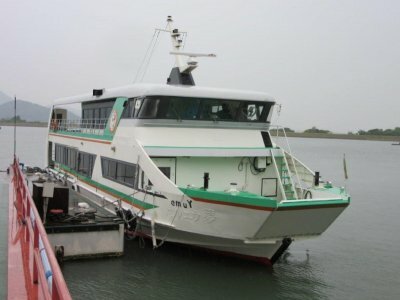 The interior comprises two large guest cabins amidships, and a spacious owners cabin forward, as well as a separate 'overflow' cabin/office to port. Separating these cabins is a TV/Entertainment lounge area that is luxurious and spacious. Right aft with a separate external entrance from the aft cockpit, is a very comfortable additional cabin offering more privacy. On the main deck is the large formal Saloon with panoramic views. Positioned forward is the large and well-designed Galley. The Helm Station is forward and is open to the aft accommodation, but can be closed off when required such as when underway at night. Aft of the formal saloon is the mid deck where there is access to the flybridge and dayhead. Further aft again is the lower aft cockpit with boarding platform and all the space required for deep sea fishing and other water activities. General: Modern yacht look consisting of matched veneers to bulkheads and doors with solid cabinet fronts. Floors: Upper accommodation level all areas Amtico (or similar) pre-finished plank flooring. Lower accommodation carpet. Ensuites ceramic tile. Cabinetry: Exterior surfaces to be teak veneer with solid teak rails and corner posts. Interior of cabinets to be timber/plywood (sealed) or laminate. Beds: Beds to be fitted with inner sprung mattresses with drawers below. Interior Tables: Interior table tops to be timber veneer with solid timber margins. Exterior Furniture: Molded fiberglass lockers and seating. Exterior Tables: Exterior table tops to be Himacs (or similar) solid laminate. Window Treatments: Upper saloon side windows to be fitted with blinds. Sleeping cabin ports to be fitted with blinds or curtains. Master cabin skylights to be fitted with blackout screens. Lower Saloon: L shaped settee to starboard with storage cabinet aft and lockers above. Upper Saloon Port: Small table on single pedestal fixed to wall with 2 x loose chairs. Entertainment: Cabinet for entertainment electronics in upper saloon with TV on port aft bulkhead (pivoting). Counter Tops: U shaped Himacs or granite/composite with double basin. Control Console: Pilothouse helm console with raised instrument panels and switch boards below. Helm Chair: Double settee to starboard. Chart Table: Full size chart table with Formica (or similar) top and chart drawer under. Book Shelf: One on aft wall sized for almanacs and nautical publications. Mater Cabin: Full width double berth cabin forward with ensuite. Hanging locker to starboard. Low level cabinets port and starboard with storage lockers above. Skippers Cabin: 2 x Symmetrical guest cabins with convertible double/single berths and ensuites. Hanging locker and low level cabinet inboard. Storage lockers outboard. Showers: Enclosed glass cubicle showers lined with Formica (or similar) laminate. Heads: Vetus SMTO 24V macerator type. Vanity Tops: Himacs or granite/composite. Mana Moana has a modern low semi-displacement hull form to create a sea-kindly and fuel efficient performance. The design brief was for a vessel that has a sleek low profile, with a very stable and highly efficient hull form. 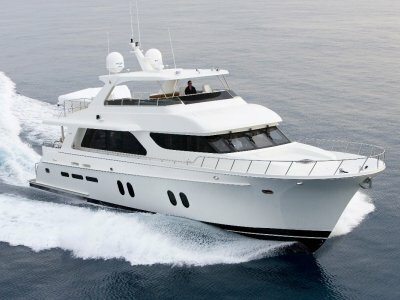 A go anywhere, anytime motoryacht that a couple could use with family and friends. The interior allows for good entertainment with larger groups, but is comfortable and private for family, guests and/or charter. The hull is constructed from Grade A steel plate with frames and stringers and the superstructure is balsa cored fibreglass for strong and lightweight performance. The low semi-displacement hull form provides efficiency and low power consumption. To achieve this a low VCG (vertical centre of gravity) has been implemented to maintain the safety at sea aspect of the design. Additionally, all tankage is low in the bilges and keel of the hull. Another beneficial aspect of the design is for all the major weights, such as the engine room and tankage, to be located close to the LCB (longitudinal centre of buoyancy) to reduce pitching in a seaway. This assists maintaining constant trim between Full and Lightship loads. Mana Moana is designed and built to the rigid Australian NSCV LR SSC-2B survey requirements.